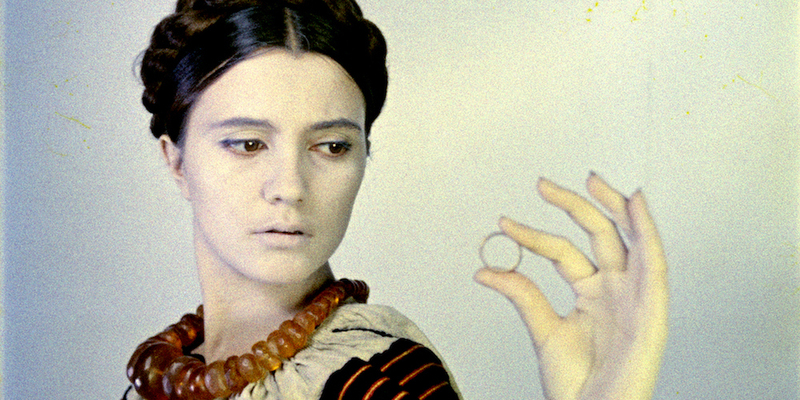 Sergei Parajanov, Kiev Frescoes, 1966, DCP, color, sound, 15 minutes. My journey began with a screening of Tsai Ming-liang’s new film, Your Face. Departing from the wandering, dreamlike narratives he has become known for, Tsai here explores the cinematic portraiture tradition. Your Face recalls such landmarks as Warhol’s screen tests and James Benning’s more recent 20 Cigarettes (2011). 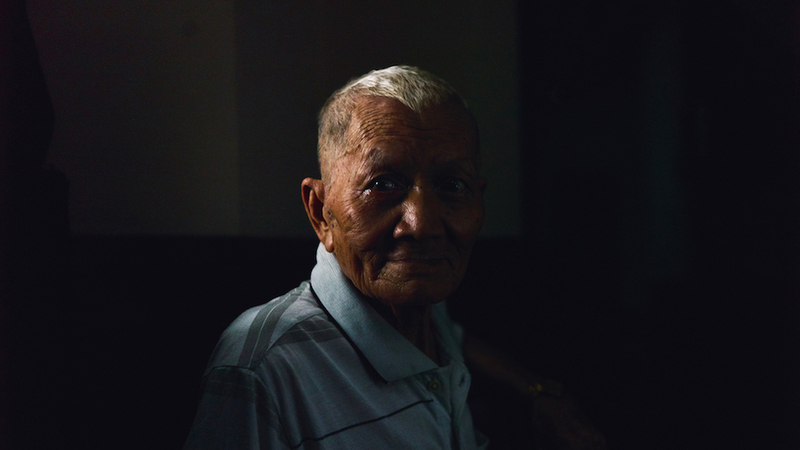 For his subjects, Tsai selects a host of middle- aged to older men and women from his native Taiwan, some of whom tell stories from their lives in response to the director’s offscreen prompts. The film ends with Lee Kang-sheng, Tsai’s famously mysterious and handsome leading man, who relays a poignant episode in the life of his father. It might not be his best work, but I don’t think there ever has been or ever will be a bad Tsai Ming-liang film. Tsai Ming-liang, Your Face, 2018, color, sound, 76 minutes. From portraiture, I moved on to tableau cinema, whose master was undoubtedly Sergei Parajanov. Several hours of recently discovered outtakes from his 1969 masterpiece, The Color of Pomegranates, were featured in an installation at the city’s Armenian church. In addition, three of his rarely seen shorts—two of them restorations in progress—were screened during the festival. The films—Kiev Frescoes (1966), Hakob Hovantanyan (1967), and Arabesques on the Pirosmani Theme (1985)—were described by Parajanov scholar Daniel Bird as “a kind of sketchbook” for the feature-length films for which he is most well-known. This is perhaps selling them short, for despite their run time, they contain in great amplitude all the color and synesthetic fireworks Parajanov is known for. The festival also included a daylong symposium devoted to Parajanov’s work, with a particular focus on the ongoing project of restoration. Jia Zhangke’s latest film, Ash Is Purest White, gave fans some hope that the critically acclaimed director is back in form after the dismal and embarrassing failure of his previous feature, 2016’s Mountains May Depart. Centering on the jianghu, underground criminal societies in China, the film still doesn’t attain the greatness of his earlier work, but at least it doesn’t plummet to the depths of Mountains. Wong Ping, Who’s the Daddy, 2017, HD video, color, sound, 9 minutes. But enough of stalwart masters; one also comes to Rotterdam in search of new discoveries. 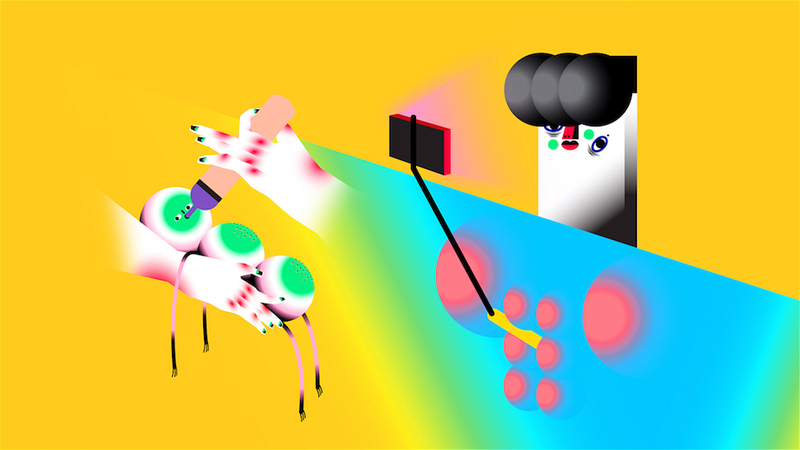 This year, Wong Ping stopped over after opening his solo exhibition at Kunsthalle Basel to show two of his animated shorts, Wong Ping’s Fables 1, 2018, and Who’s the Daddy?, 2017. Perverse humor tempered with a raw and rude twenty-first-century existentialism, Wong’s fabulist inventions could have been little more than hilariously crude animations of anthropomorphic beings in banal quotidian settings. But unlike so many artists—hell, unlike so many writers—Wong can actually write. This is the fine art of short fiction, blown up on the screen. It’s obvious this guy is going to be a huge star. I guess he already is. Also commendable is Take Me Somewhere Nice, the debut feature from Ena Sendijarević, about a young woman’s return home to Bosnia and the chaotic road trip that ensues as she attempts to visit her dying father. With dry, pathos-tinged Eastern European humor and a refined sense of poetic irony, Sendijarević’s film shows us that madness, horniness, sadness, and desperation all come from the same place. 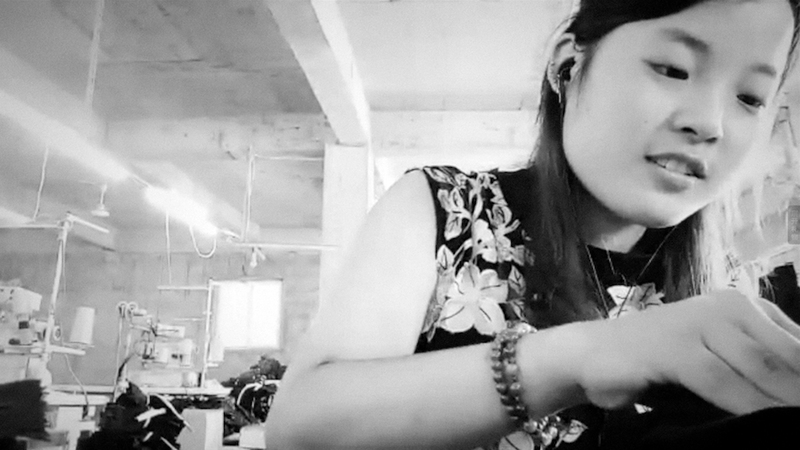 Zhu Shengze, Present.Perfect, 2019, HD video, black and white, sound, 124 minutes. But the clear highlight of the festival was Zhu Shengzhe’s Present.Perfect. Its simple subject, the massively popular phenomenon of Chinese live-streaming, is a topic about which we may have reached premature conclusions—the insanity implicit in the increasing mediation of every aspect of daily life, and so forth. And yet the best works of art are often those that force us to change our minds or otherwise revise our understanding. Culled from hundreds of hours of live-stream footage, the film’s recurring figures are, by and large, social outcasts, many of them bearing physical disabilities. For them, live-streaming becomes a way not just to earn money but to find community and meaning in an otherwise hostile world. At the closing ceremony on February 1, the film won the festival’s highest and most prestigious prize, the Tiger Award, which it completely deserved. The 48th Rotterdam Film Festival ran from January 23 to February 3.